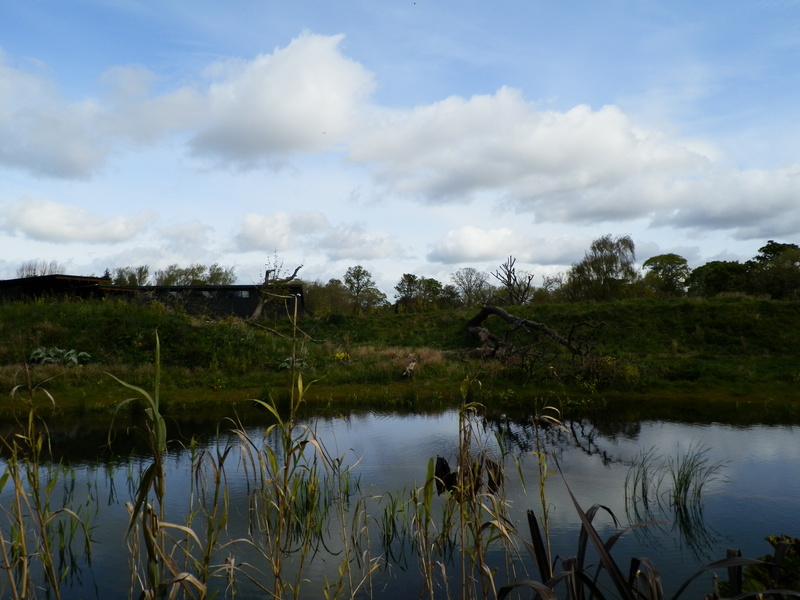 Much of the Dublin Zoo’s African Plains exhibit is composed of a string of man-made islands in their large natural lake. It’s on one of these large islands you’ll find the Gorilla Rainforest exhibit that includes not only a large, lush green island with various trees and climbing structures but also an indoor enclosure. Encompassing 12,000 square metres, the exhibit was inspired by the rainforests of western Africa that these gorillas call home. The zoo’s troop of 7 western lowland gorillas can be seen from a variety of viewpoints from inside to all around the island habitat. My first meeting was with the troop’s silverback who was dozing against the glass, but it was evident that he was aware of what was going on as he faced his troop that was further away on the island. I walked over to the other side of the island where I could see the rest of the troop. In the early afternoon sun the troop was sleeping, or at least trying to, all except the youngest. Born a year ago (September 2011) the youngest of the troop is a sweet little girl who was full of character. I watched on as she sat on top of her mom than drummed on her, which resulted in mom’s arm coming up trying to brush her away, as if to say “run along, I’m sleeping.” Then the little one stood up and walked on her hind legs and picked up a stick which she brought back to use to drum on mom again. Too cute! It always impresses me when I see a great ape or even a gibbon walk on their hind legs; it’s like watching evolution, or a hairier human, in the making. Next door, on their own island was the zoo’s troop of chimpanzees. As I approached the group was coming out onto their island from indoors where they proceeded to stride around the perimeter of the island and then take up a seat at various points. One even watched on as a male duck near him started chasing a female duck across the island to the water line. 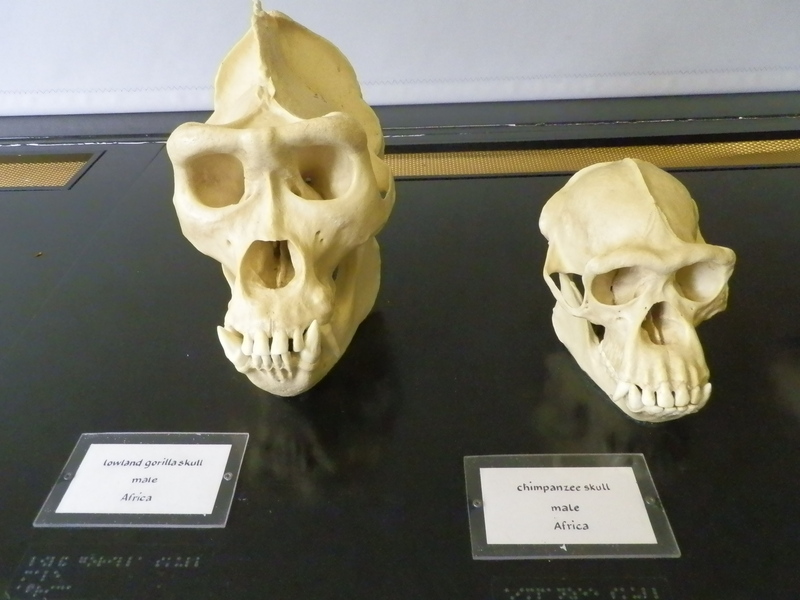 The next island exhibit in this chain was home to white-crowned mangabeys. 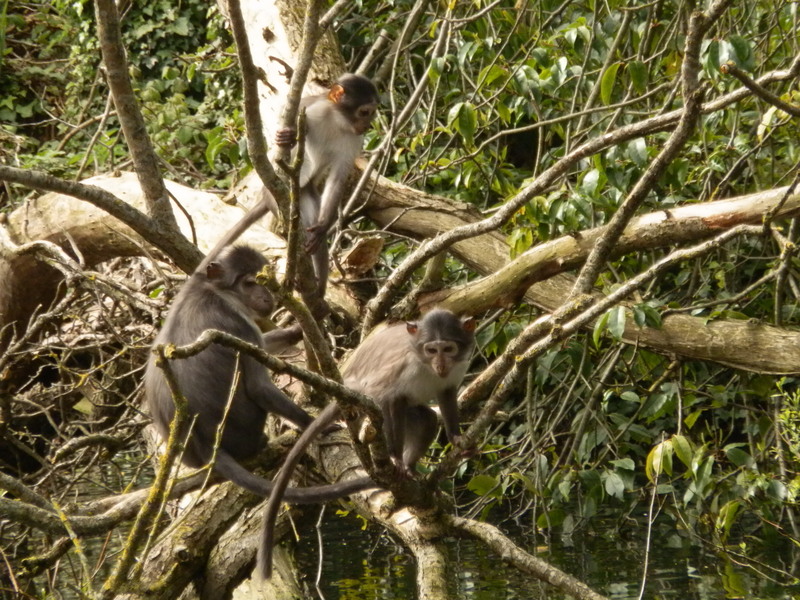 These slender, endangered monkeys were perched in the trees overlooking the water. As I sat and watched the youngsters began to play; chasing each other along the narrow branches, swinging and jumping like seasoned acrobats with no safety net. The remaining animals in the African Plains exhibit includes; African wild dogs, the comical Abyssinian ground hornbill, African spurred tortoise, red river hogs, the African lion and the beautiful and critically endangered Eastern bongo with its majestic horns and gorgeous burnt orange with white striped coat. 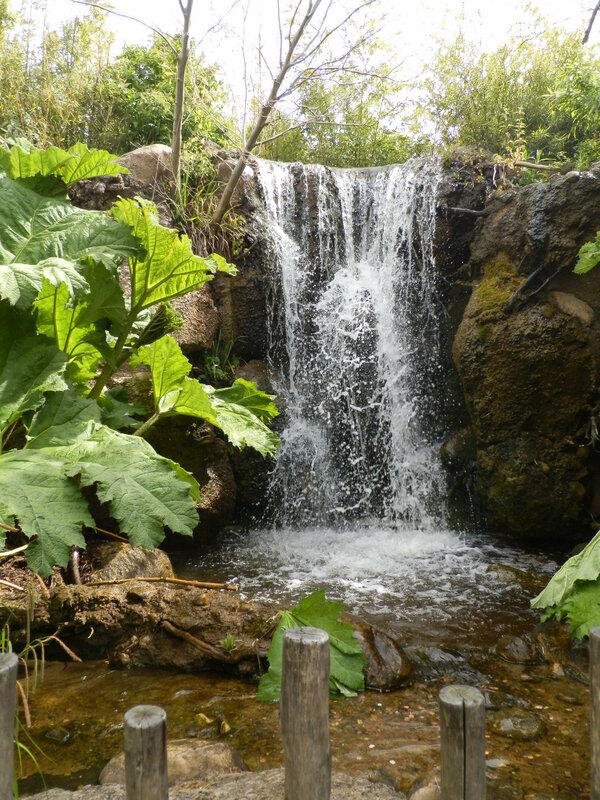 Rich environments abound at the Dublin zoo, one after another, from the island habitats of the African Plains exhibit to the next themed area the Kaziranga Forest Trail. This exhibit is filled with picturesque landscapes and paths where you’ll walk along side elephant footprints as well as have a great photo-op with a stunning waterfall. It’s here you’ll meet the zoo’s 5 Asian elephants in their great exhibit that has two pools for them to drink and frolic in as well as an indoor enclosure. On this beautiful sunshiny day the youngsters were full of angst, some maybe more than others. One little guy was testing his strength as he played push with another, and at one point while they were all at the front along the edge of one of their pools he almost caused an elephant pile up while pushing his way through the crowd. 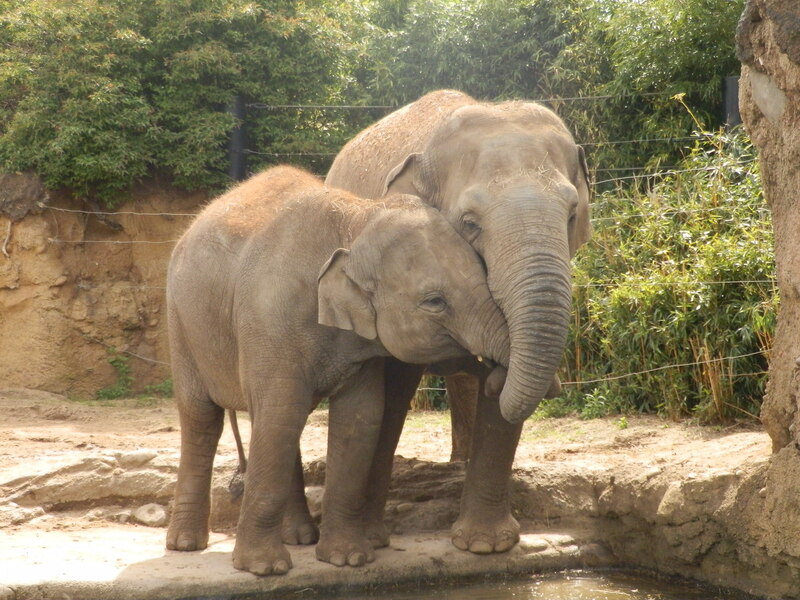 It was so cute watching these playful youngsters and one even showed its tender side as it snuggled with an older elephant, wrapping their trunks like arms in a hug. Passing by the red pandas as they explored their enclosures high reaches like experienced tight rope walkers and an up close encounter with a breath-taking peacock who was showing off his beautiful tail feathers, I passed the refurbished Haughton House on my way to the Reptile House. The Reptile House is one of the oldest buildings at the Dublin Zoo, opening in 1876, their small collection still offers a wide variety from Nile crocodiles to various turtles and different insects to monitor lizards who were busy lunching on dead mice. Next door is a fun exhibit called Family Farm where visitors can get close and interact with farm animals like cows, sheep, goats, ducks and chickens. After strolling by the over 100-year-old lion keeper house, the Roberts House, it was onto the South American House. Here was another small exhibit that made the most of their space by having mulit-species enclosures that provided both indoor and outdoor environments. 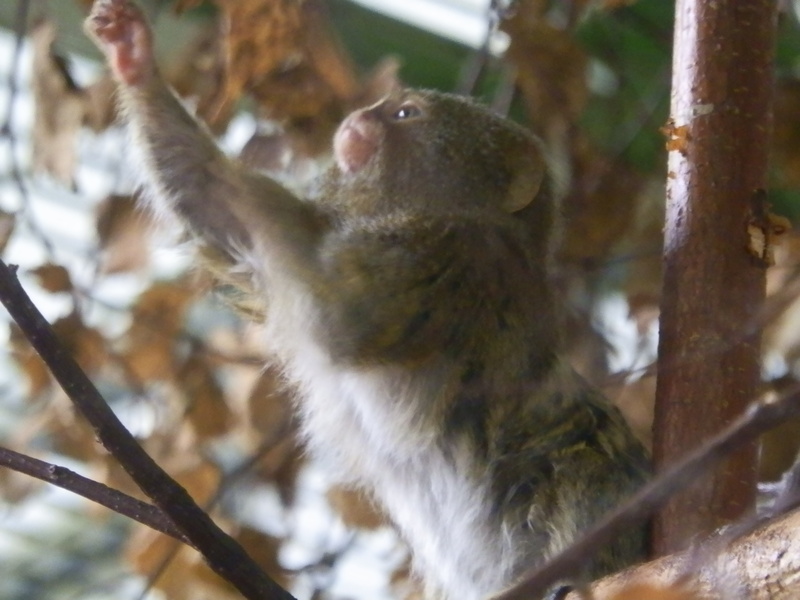 One space, for instances, had red-footed tortoises, birds and white-faced saki monkeys while another had pygmy marmosets, sloths and Goeldi’s monkey. One building I was impressed with and a bit taken aback by was their education building that posed various animal skulls, pelts and other exhibits that bring visitors face to face with the trade in animal parts around the world and educates on the importance of saving these amazing animals. When I asked a volunteer about the skulls and other animal parts on display he told me they came from the zoo’s animals after they’d past. I was taken aback as I thought maybe they had come from confiscations. But after realizing they came from closer to home it was an eye opener as the volunteer expressed sadness on their loss and named the animals that the skulls and such came from with fondness, I understood the importance of keeping a part of them to help educate the public and bring awareness to conservation efforts to save these species. The last enclosure I saw was in Meerkat restaurant. Now I know your probably wondering what kind of animal enclosure is in a restaurant. Though I also thought it strange at first I was pleased and understood the why when I walked in. At the far end of the restaurant is a glass wall looking out onto an outdoor enclosure for a mob of meerkats who were popping in and out of their burrows and standing straight up on sentry duty keeping a look out. 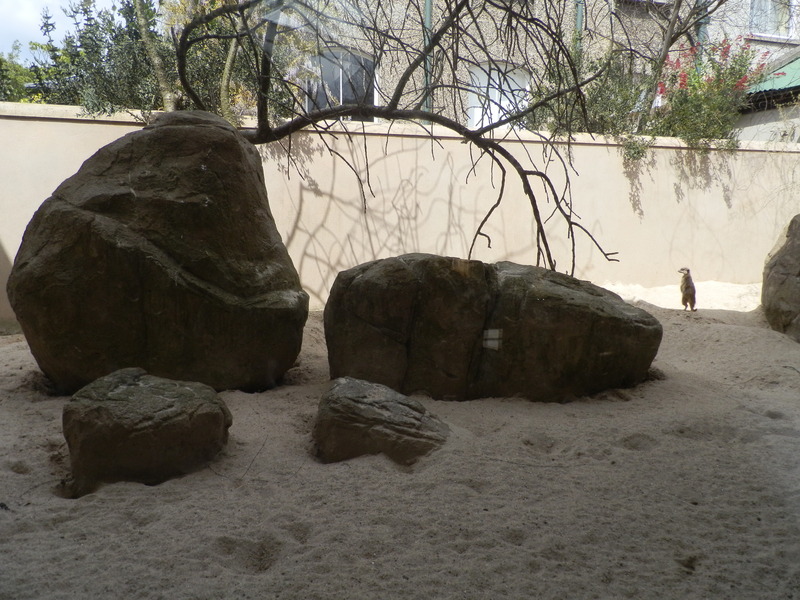 The enclosure represented the African savannah with its sand, rocks and trees; providing a natural environment for these cute little meerkats to entertain the visitors as they sit and eat their meals. I must admit the Dublin Zoo wowed me in many respects; from their rich environments for their animals to their overall beautiful landscape as well as their informative signage that provides tidbits of information on the animals from their diet to enrichment as well as describing behaviours and much more. One thing that really stood out is the knowledge of the animals that I heard from the visitors. This might seem strange, but I visit zoos often and am always alert to visitors and what they’re saying, especially parents to their children, and it’s not uncommon for me to hear people say things like “look at that big tiger” – when it’s really a lion, or “look at the cute baby rhinos” – when they’re really warthogs. But here at the Dublin Zoo I was happy to hear parents giving accurate information and even describing behaviours to their children. 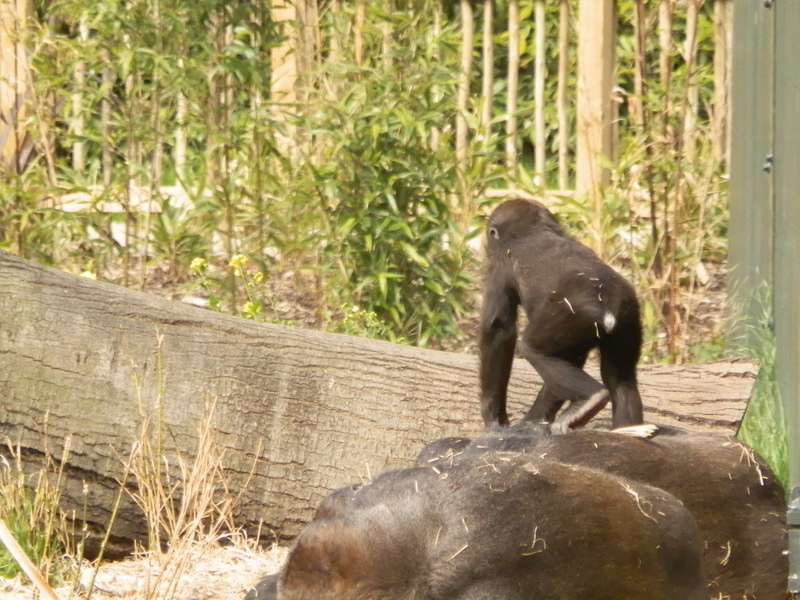 Education is so important and it was prevalent here at the Dublin Zoo.